You are tired of spam? SMS Filter rids of it. Simply add the number to the blacklist and annoying messages will no longer disturb you. The application easily filters messages and has a convenient and intuitive interface. Spam SMS are stored in a separate list and you can always view them, so you never miss anything important. 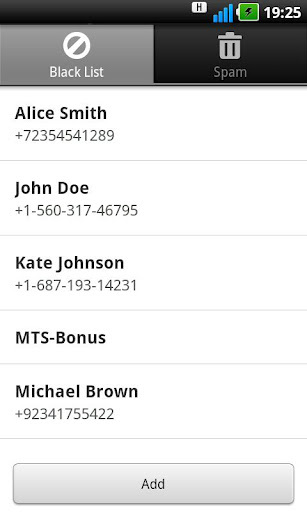 You can block numbers from the phone book and calls history, or any message senders, or enter the number manually.